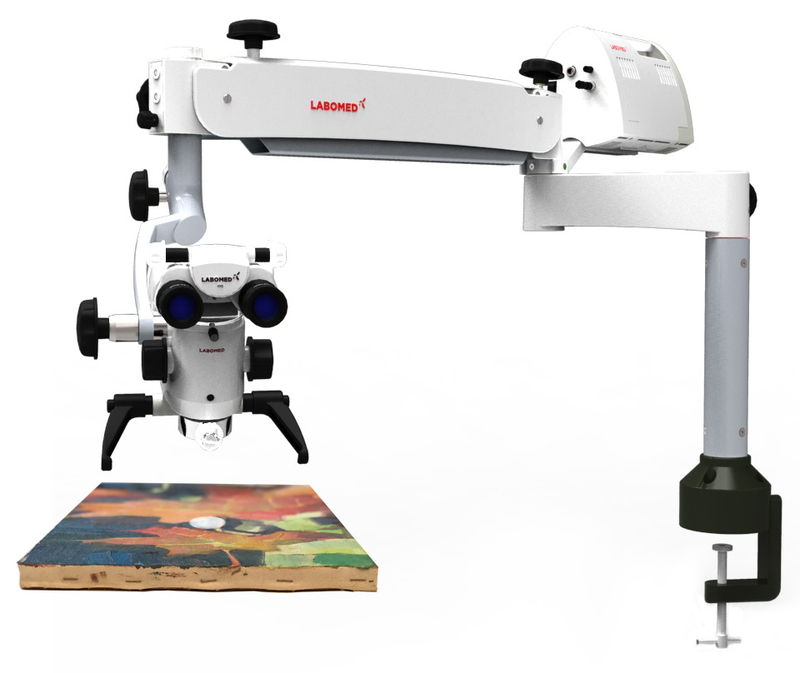 The Labomed Prima Art stereo microscope comes equipped with a common main apochromatic optical system that promises the most vivid and honest images in its class. This is achieved with Labomed’s proprietary Maxlite ™ coatings that provide highest efficiency in transmission and reflection through the entire visible spectrum. Maxlite ™ renders optics with excellent anti-fungal, anti-fog and scratch resistant properties. Perfect for today’s art conservatories and museums. To address digital documentation needs, a host of digital SLR, video camera, and CCD adapters are made available in addition to Labomed’s proprietary iVu multi-functional imaging solution. A super bright 50W LED produces a powerful yet cool field of illumination, with color temperature range closest to natural daylight. With a run time of 60,000 hours of bulb service life, bulb changes and storing spares are no longer a matter of concern. Electronics built directly into the swivel arm make the Prima Art a compact solution. An Apochromatic Galilean optical system produces sharp contrast and resolution at every step. Proprietary MaxLite™ sputtered coatings promise the highest degree of anti-reflective and anti-scratch properties, yielding artifact free and durable optics. Fine focusing control is provided through a range of long working distance CMOs. The adjustable working distance NuVar™ objective is an optional accessory that provides fluid continuous working distance articulation from f300-400mm. The NuVar™ is the first objective of its kind to nearly eliminate light flares and artifacts while providing a working distance range, yielding a pristine image at all focal depths. To address digital documentation needs, a host of digital SLR, video camera, and CCD adapters are available with the ProLine™ in addition to LABOMED’s proprietary iVu S5 streamlined documentation solution. 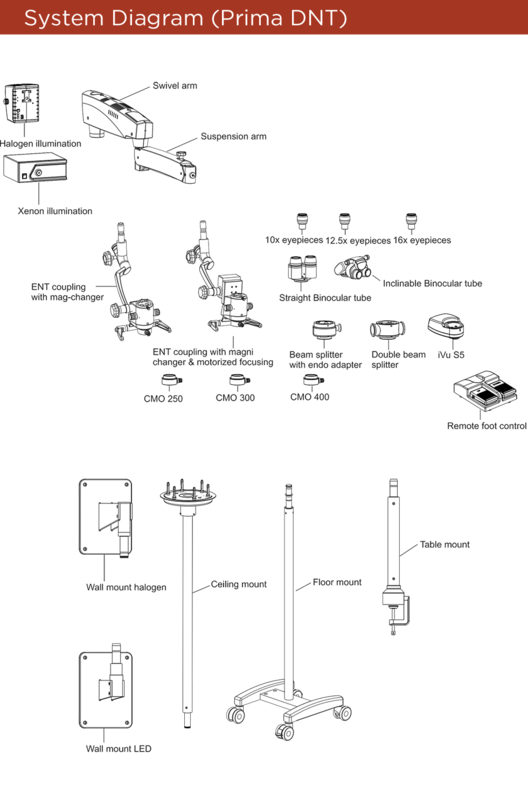 Meyer Instruments, Inc. is an authorized Labomed dealer-reseller.